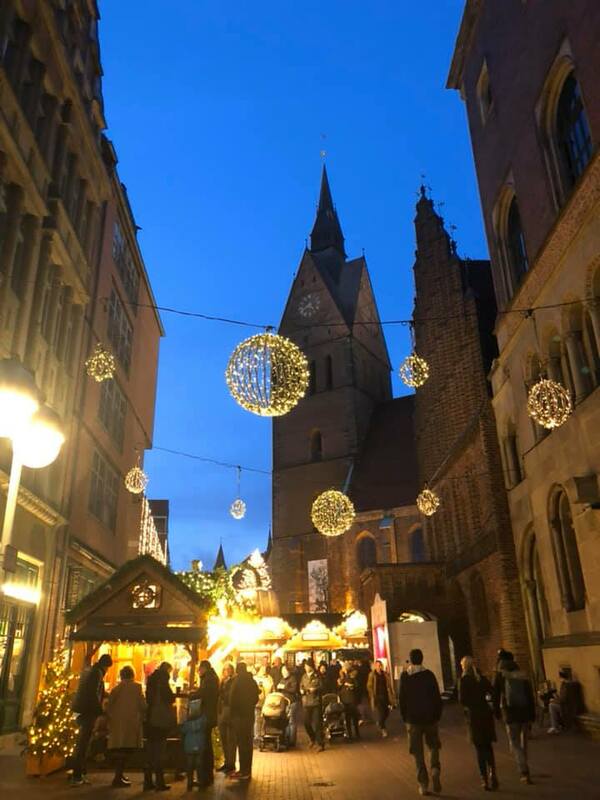 Last weekend, the Christmas markets began in Hannover and it’s one of my favourite times of the year! 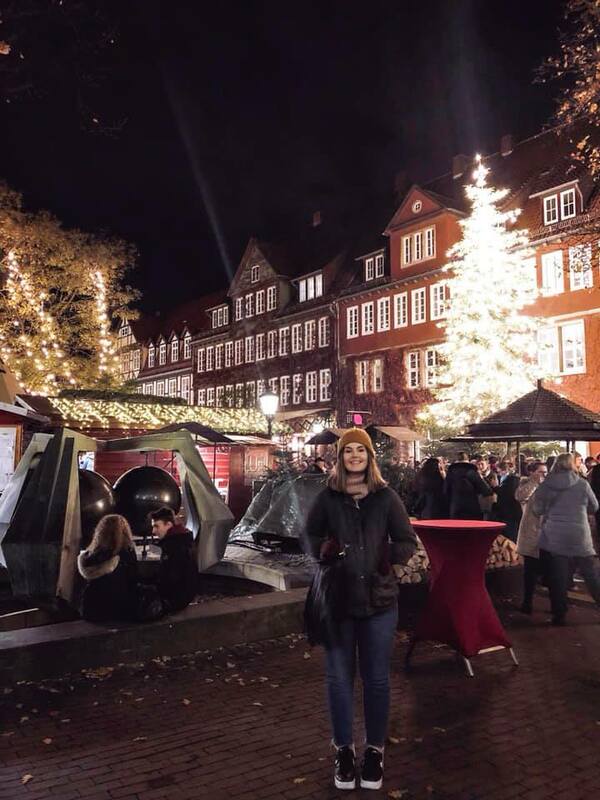 I was very excited to experience a genuine German Christmas market and it definitely didn’t disappoint! We decided to go the first weekend it opened – which meant it was super busy and really crowed. However, I did manage to get some photos that I thought I would share! 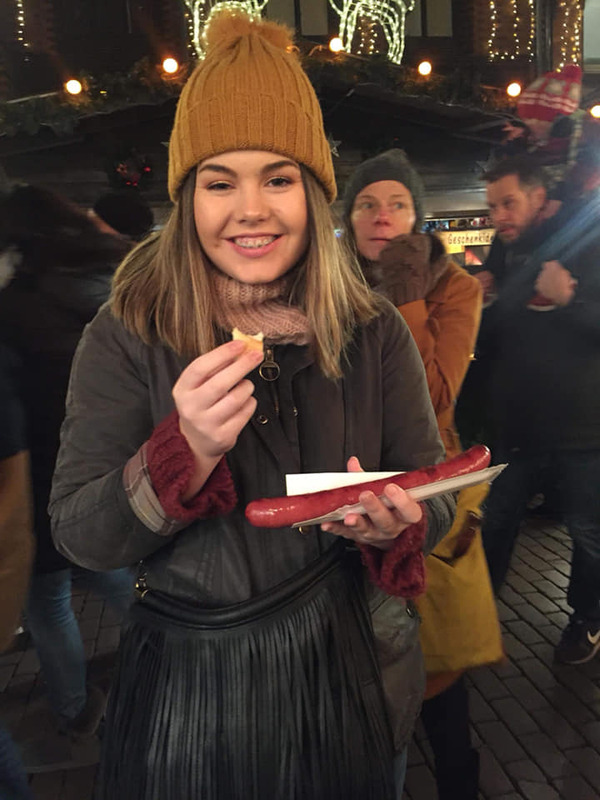 So of course we had to get a sausage of some type – and I got a Bratwurst however it wasn’t like the other Bratwursts I’d had before but I can’t read / speak German very well so it was probably some different kind haha! I’m also not going to pretend I know what these are called either as I couldn’t even pronounce it haha! 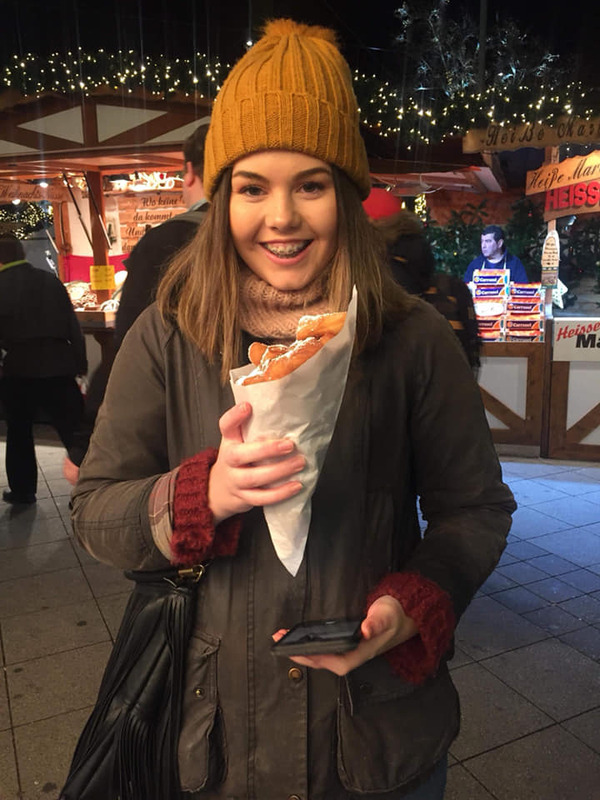 But to me, they were a mix between churros and donuts but covered with icing sugar… They were amazing any way! Just one of the many twinkly lights and Christmas tree’s! 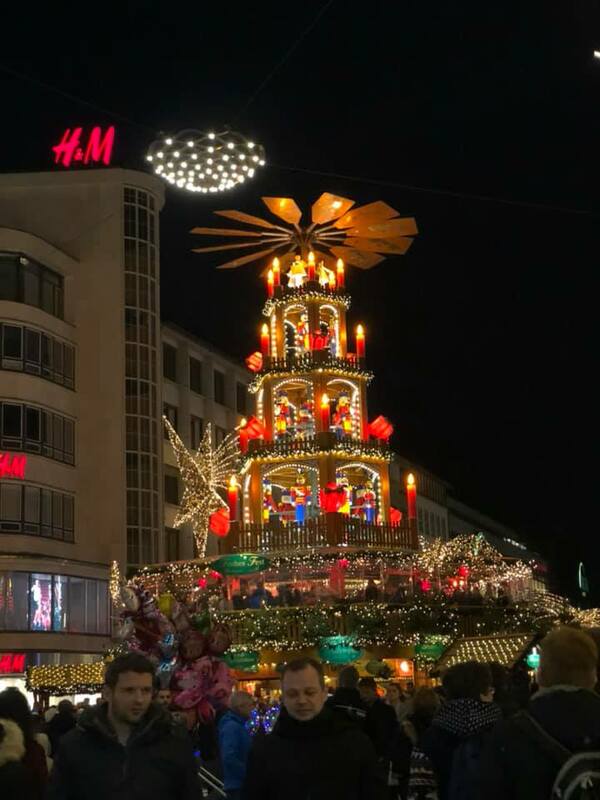 Hannover definitely didn’t skimp on the Christmas tree budget as there were tonnes of massive ones all over the city! This was the Old Town markets and was my favourite part of the markets! Before it got completely dark and super busy! 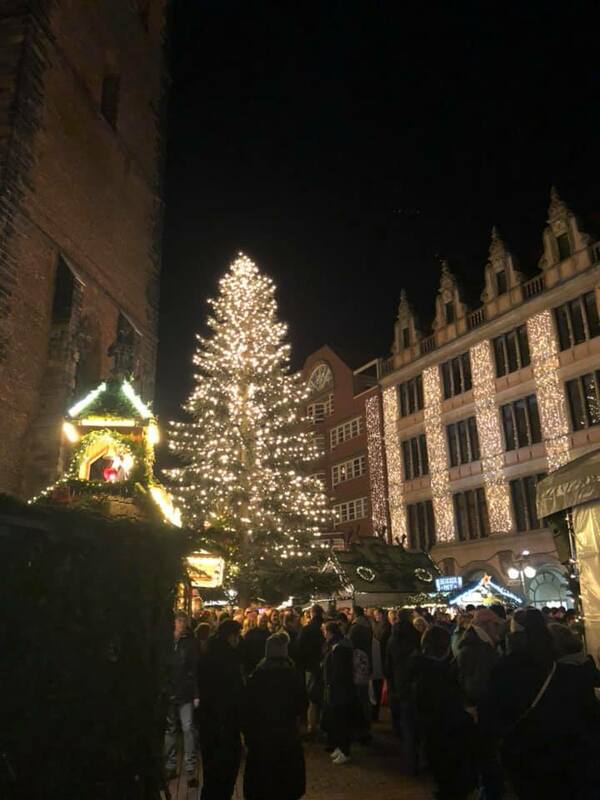 As you come out of the centre of Hannover (Kropke), this is what currently greets you. It’s unreal and you can actually sit in it and have some beers! 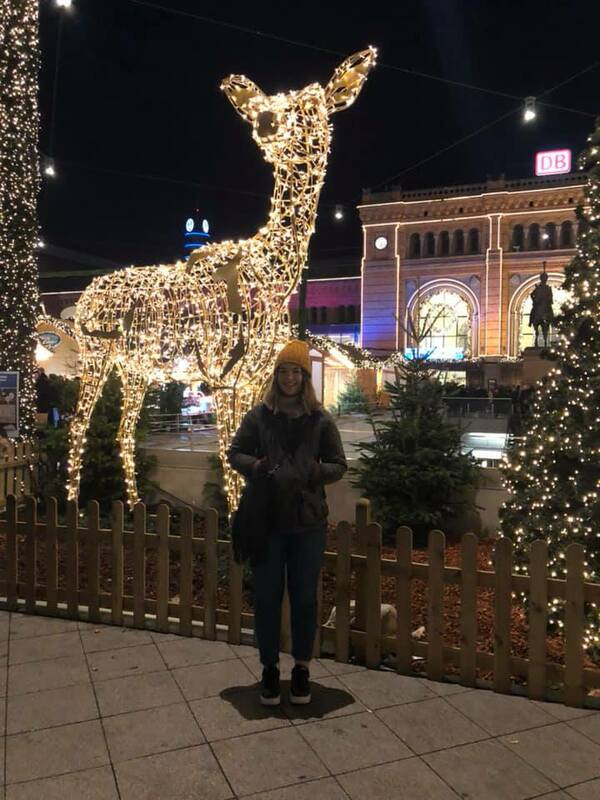 Giant light-up reindeer? Photo opportunity. And lastly, another giant Christmas tree!! I will definitely be checking the markets out again before the end of them and probably at a less busy time!